Sick of cramped bars on your Friday afternoon escape from it all? 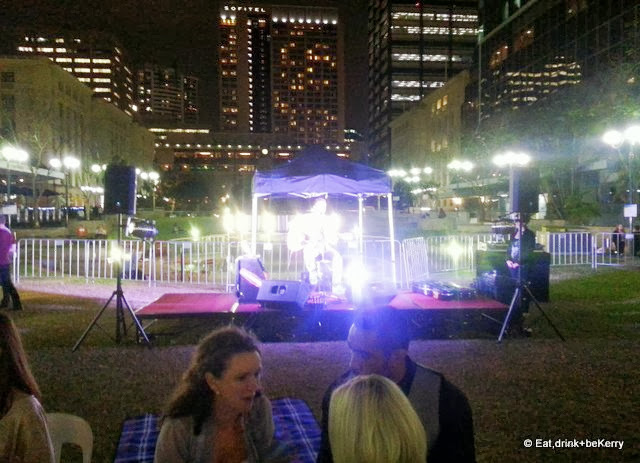 Ed+bK Bar Reporter Alex Stone found the solution to all these problems at Friday Nights on the Green smack bang in the middle of Brisbane city at Post Office Square. Showing up with my sister after a 10 hour day making coffee, I was very keen for a beer as we strolled in to a light and breeze post office square. 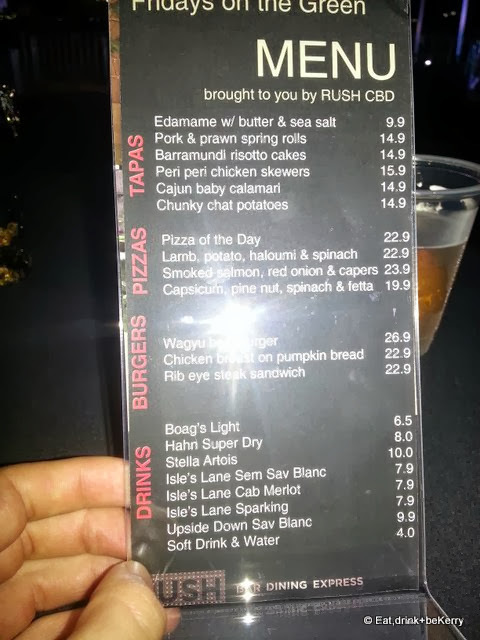 As part of a six month trial, the square has been outfitted with its own pop-up bar serving beer, wine and a selection of tapas, pizzas and burgers provided by Rush Bar & Dinning. Dotted with picnic tables, rugs and deck chairs (get there early to claim one of these bad boys) for everyone to use. 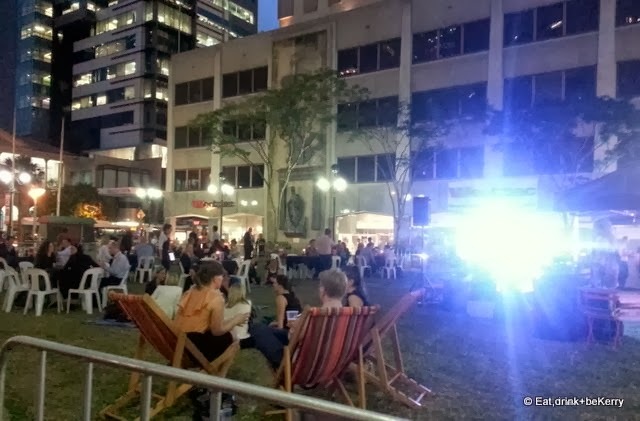 This wonderful set up is all thanks to Brisbane City Council’s chairs2share program setting up relaxing places all over Brisbane. Knocking back a Stella as we settled down to over indulge all round. I was already forgetting about screaming children and problem customers. I hoed in to a large selection of tapas items with blatant disregard for my sister’s requests to share. 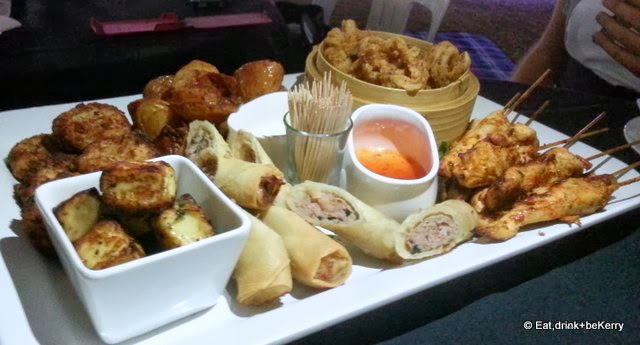 My picks were the cajun calamari and the pork and prawn spring rolls, although everything filled me up nicely. Having made a pig of myself, eating too much and thoroughly annoying my sister, we settled back to enjoy the awesome music from The City Sounds music program. The City Sounds program aims to promote emerging Brisbane artists but has also hosted international acts too, so you never know what you’re going to get. Hoisting over 2300 performances last year, it its Australia’s largest free live music program. 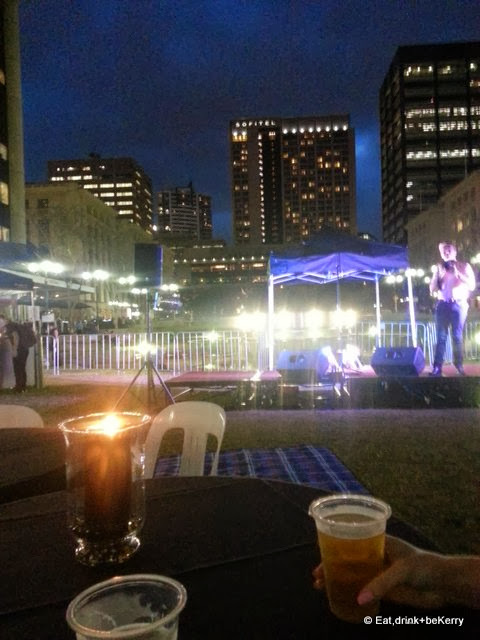 Go check out the new Post Office Square from 5pm till late for a relaxing atmosphere, a cold drink and some good company. It’s a fantastic way to relax and forget about screaming children or deadlines and have a bit too much to drink. Disclaimer: Ed+bK was a guest of Brisbane Marketing.